A combined experimental and theoretical investigation of Cs+ions solvated in HeN clusters. R. Pérez de Tudela, P. Martini, M. Goulart, P. Scheier, F. Pirani, J. Hernández-Rojas, J. Bretón, J. Ortiz de Zárate, M. Bartolomei, T. González-Lezana, M. I. Hernández, J. Campos-Martínez, P. Villarreal. J. Chem. Phys. 150, 154304 (2019). Graphene multi-protonation: A cooperative mechanism for proton permeation. M. Bartolomei, M. I. Hernández, J. Campos-Martínez, R. Hernández-Lamoneda. Carbon. 144, 724-730 (2019). Lithium ions solvated in helium. M. Rastogi, C. Leidlmair, L. An der Lan, J. Ortiz de Zárate, R. Pérez de Tudela, M. Bartolomei, M. I. Hernández, J. Campos-Martínez, T. González-Lezana, J. Hernández-Rojas, J. Bretón, P. Scheier and M. Gatchell. Phys. Chem. Chem. Phys. 20 , 25569-25576 (2018). Nanostructure Selectivity for Molecular Adsorption and Separation: The Case of Graphyne Layers. Apriliyanto, Y.B. ; Faginas Lago, N.; Lombardi, A.; Evangelisti, S.; Bartolomei, M.Leininger, T.Pirani, F. J. Phys. Chem. C. Phys. 122 , 16195 (2018). Noncovalent interactions between cisplatin and graphene prototypes. M. R. Cuevas-Flores, M. A. Garcia-Revilla, M. Bartolomei. J Computational Chem. 39 , 71-80 (2018). Modeling Coronene Nanostructures: Analytical Potential, Stable Configurations and Ab Initio Energies. M. Bartolomei, F. Pirani, J.M.C. Marques. J. Phys. Chem. C. 121 , 14330-14338 (2017). A global optimization perspective on molecular clusters.Marques, J.M.C. ; Pereira, F.B. ; Llanio-Trujillo, J.L. ; Abreu, P.E. ; Albertí, M.; Aguilar, A.; Pirani, F.; Bartolomei, M. Philosophical Transactions of the Royal Society A: Mathematical, Physical and Engineering Sciences 375 , 20160198 (2017). Adsorption of molecular hydrogen on coronene with a new potential energy surface. M. Bartolomei, R. Pérez de Tudela, K. Arteaga, T. González-Lezana, M. I. Hernández, J. Campos-Martínez, P. Villarreal, J. Hernández-Rojas, J. Bretón, F. Pirani. Phys. Chem. Chem. Phys. 19 , 26358-26368 (2017). Wave Packet Calculations of the Quantum Transport of Atoms Through Nanoporous Membranes. A. Gijón, J. Campos-Martínez, M. I. Hernández. J. Phys. Chem. C 121, 19751-19757 (2017). Comparative investigation of pure and mixed rare gas atoms on coronene molecules. R. Rodríguez-Cantano, M. Bartolomei, M. I. Hernández, J. Campos-Martínez, T. González-Lezana, P. Villarreal, R. Pérez de Tudela, F. Pirani, J. Hernández-Rojas, J. Bretón. J. Chem. Phys. (146), 034302 (2017). A Novel Nanoporous Graphite Based on Graphynes: First-Principles Structure and Carbon Dioxide Preferential Physisorption. M Bartolomei, G Giorgi. ACS Applied Materials & Interfaces 8 (41), 27996-28003 (2016). Energy transfer dynamics and kinetics of elementary processes (promoted) by gas‐phase CO2‐N2 collisions: Selectivity control by the anisotropy of the interaction. A Lombardi, F Pirani, A Laganà, M Bartolomei. Journal of computational chemistry 37 (16), 1463-1475 (2016). Examination of the Feynman–Hibbs Approach in the Study of NeN-Coronene Clusters at Low Temperatures. R. Rodríguez-Cantano, R. Pérez de Tudela, M. Bartolomei, M. I. Hernández, J. Campos-Martínez, T. González-Lezana, P. Villarreal, J. Hernández-Rojas, and J. Bretón. J. Phy. Chemistry A, 120, 5370–5379 (2016). Efficiency of Collisional O2 + N2 Vibrational Energy Exchange . E. Garcia, A. Kurnosov, A. Laganà, F. Pirani, M. Bartolomei, and M. Cacciatore, J. Phy. Chemistry B, 120, 1476 (2016). Enhanced Flexibility of the O2 + N2. Interaction and Its Effect on Collisional Vibrational Energy Exchange . E. Garcia, A. Laganà, F. Pirani, M. Bartolomei, M. Cacciatore A. Kurnosov, J. Phy. Chemistry A, 120, 5208 (2016). Transferability and accuracy by combining dispersionless density functional and incremental post-Hartree-Fock theories: Noble gases adsorption on coronene/graphene/graphite surfaces. Lara Castells, María Pilar de; Bartolomei, Massimiliano; Mitrushchenkov, Alexander O.; Stoll, Hermann. Journal of Chemical Physics 143: 194701-1- 194701-14 (2015). Low-energy structures of benzene clusters with a novel accurate potential surface. Bartolomei, Massimiliano; Pirani, Fernando; Marques, J.M.C. Journal of Computational Chemistry, 36: 2291–2301 (2015). First principles investigation of hydrogen physical adsorption on graphynes’ layers. Bartolomei, Massimiliano; Carmona-Novillo, Estela; Giorgi, Giacomo. Carbon 95: 1076-1081 (2015). Transmission of Helium Isotopes through Graphdiyne Pores: Tunneling versus Zero Point Energy Effects. Hernández, Marta I.; Bartolomei, Massimiliano; Campos-Martínez. Journal of Physical Chemistry A 119 (43), 10743–10749 (2015). Coronene molecules in helium clusters: Quantum and classical studies of energies and configurations. Rodríguez Cantano, Rocío; Pérez de Tudela, Ricardo; Bartolomei, Massimiliano; Hernández, Marta I.; Campos-Martínez, José; González Lezana, Tomás; Villarreal, Pablo; Hernández-Rojas, Javier; Bretón, José. Journal of Chemical Physics 143 (22): 224306 (2015). Broadening of H2O Rotational Lines by Collisions with He Atoms at Low Temperature. M. I. Hernández,J. M. Fernández,G. Tejeda,E. Moreno, S. Montero.The Astrophysical Journal (ApJ) 808, 175 (2015). Laboratory study of rate coefficients for H2O:He inelastic collisions between 20 and 120 K. G. Tejeda, E. Carmona-Novillo, E. Moreno, J. M. Fernández, M. I. Hernández, S. Montero, AstrophysicalJournal Supplement Series, 216, 3 (2015). Graphdiyne Pores: “Ad Hoc” Openings for Helium Separation Applications. M. Bartolomei , E. Carmona-Novillo , M. I. Hernández , J. Campos-Martínez,F. Pirani, G. Giorgi. J. Phys. Chem. C, 118 (2014) 29966-29972. Global ab initio Potential Energy Surface for the O2(3∑g–) + N2(1∑g+) Interaction. Applications to the Collisional, Spectroscopic, and Thermodynamic Properties of the Complex. M. Bartolomei , E. Carmona-Novillo , M. I. Hernández , J. Campos-Martínez,R. Moszynski. J. Phys. Chem. A, 118 (2014) 6584–6594. The effect of the intermolecular potential formulation on the state-selected energy exchange rate coefficients in N2-N2 collisions. Kurnosov, A., Cacciatore, M., Laganà, A., Bartolomei, M., Garcia, E. Journal of Computational Chemistry, 35 (2014) 722-736. Can density functional theory methods be used to simulate the ε phase of solid oxygen?. Bartolomei, M., Pérez-Ríos, J., Carmona-Novillo, E., Campos-Martínez, J., Hernández-Lamoneda, R. Chemical Physics Letters, 592, (2014) 170-174. ERRATUM. Molecular oxygen tetramer (O2)4 : Intermolecular interactions and implications for the ε solid phase [Phys. Rev. B 84, 092105 (2011)]. Massimiliano Bartolomei, Estela Carmona-Novillo, Marta I. Hernández, Jesús Pérez-Ríos, José Campos-Martínez, and Ramón Hernández-Lamoneda. PHYSICAL REVIEW B 87, 179906(E) (2013). Chemical interactions and spin structure in (O2)4: implications for the ε -O2 phase. M. A. García-Revilla, E. Francisco, A. Martín Pendás, J. M. Recio, M. Bartolomei, M. I. Hernández, J. Campos-Martínez, E. Carmona-Novillo, R. Hernández-Lamoneda. (2013), Journal of Chemical Theory and Computation, 9, 2179-2188. Toward a Molecular Ion Qubit. J. Mur-Petit, J. Pérez-Ríos, J. Campos-Martínez, M. I. Hernández, S. Willitsch, J. J. García-Ripoll, en “Arquithecture and Design of Molecule Logic Gates and Atom Circuits”, Editorial: Springer-Verlag GmbH, 2013, 267-278, ISBN: 978-3-642-33136-7. Ab initio rovibrational structure of the lowest singlet state of O2-O2, Carmona-Novillo, E., Bartolomei, M., Hernández, M.I., Campos-Martínez, J., Hernández-Lamoneda, R., (2012) Journal of Chemical Physics, 137 (11) , art. no. 114304. Full dimensional grid empowered simulation of the CO2 + CO2 processes, Bartolomei, M., Pirani, F., Laganà, A., Lombardi, A.,(2012), Journal of Computational Chemistry 33 (22) , pp. 1806-181. Properties of the molecular oxygen trimer from pairwise additive interactions, Hernández-Lamoneda, R., Pérez-Ríos, J., Carmona-Novillo, E., Bartolomei, M., Campos-Martínez, J., Hernández, M.I., (2012), Chemical Physics, 399 , pp. 80-85. New trends in atomic and molecular clusters (in honour of Gerardo Delgado-Barrio), Villarreal, P., Miret-Artés, S., Roncero, O., Campos-Martínez, J., (2012), Chemical Physics, 399 , pp. 1-3. Transmission properties in waveguides: An optical streamline analysis,Sanz, A.S., Campos-Martínez, J., Miret-Artés, S., (2012), Journal of the Optical Society of America A: Optics and Image Science, and Vision, 29 (5) , pp. 695-701. Effect of anisotropy on the glory structure of molecule-molecule scattering cross sections, Pérez-Ríos, J., Bartolomei, M., Campos-Martínez, J., Hernández, M.I., (2012), Chemical Physics Letters, 522 , pp. 28-32. Molecular oxygen tetramer (O2)4: Intermolecular interactions and implications for the ε solid phase, Bartolomei, M., Carmona-Novillo, E., Hernández, M.I., Pérez-Ríos, J., Campos-Martínez, J., Hernández-Lamoneda, R., (2011), Physical Review B – Condensed Matter and Materials Physics, 84 (9) , art. no. 092105. Ultracold O2-O2 collisions in a magnetic field: On the role of the potential energy surface, Pérez-Ríos, J., Campos-Martínez, J., Hernnádez, M.I.,, (2011), Journal of Chemical Physics, 134 (12), art. no. 124310. Diatom-diatom interactions: Building potential energy surfaces and effect of intramolecular vibrations, Carmona-Novillo, E., Bartolomei, M., Paérez-Ríos, J., Campos-Martínez, J., Hernández, M.I., (2011), International Journal of Quantum Chemistry, 111 (2) , pp. 333-341. 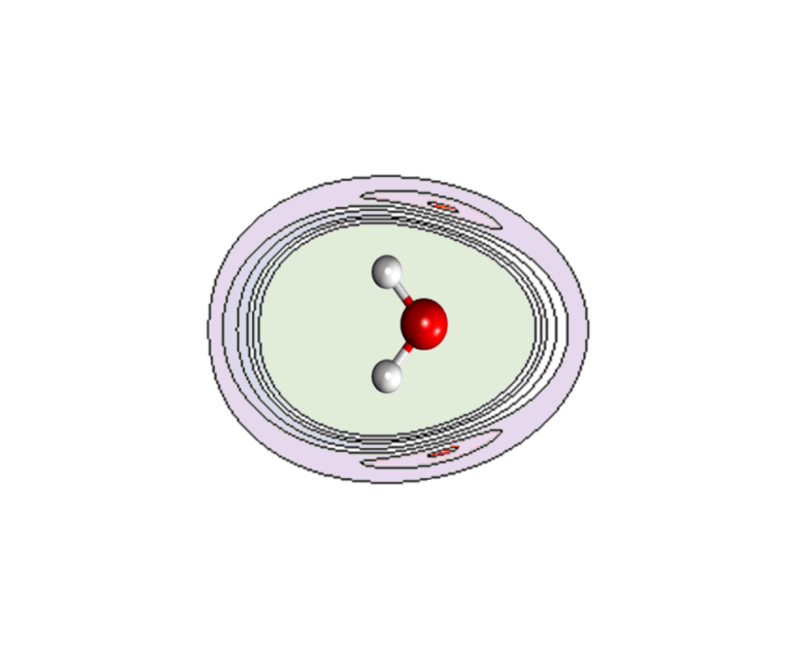 Inelastic collisions in molecular oxygen at low temperature (4 T 34 K). Close-coupling calculations versus experiment , Pérez-Ríos, J., Tejeda, G., Fernndez, J.M., Hernandez, M.I., Montero, S., (2011), Journal of Chemical Physics, 134 (17) , art. no. 17430. Long-range interaction for dimers of atmospheric interest: Dispersion, induction and electrostatic contributions for O2-O2, N2-N2 and O2-N2, Bartolomei, M., Carmona-Novillo, E., Hernández, M.I., Campos-Martínez, J., Hernández-Lamoneda, R., (2011), Journal of Computational Chemistry, 32 (2) , pp. 279-290. Global ab initio potential energy surfaces for the O2( 3Σg–) + O 2( 3Σ g–) interaction, Bartolomei, M., Carmona-Novillo, E., Hernández, M.I., Campos-Martínez, J., Hernández-Lamoneda, R., (2010), Journal of Chemical Physics, 133 (12) , art. no. 124311. Nonadiabatic couplings in the collisional removal of O2 b( 1Σg+, v) by O2, Dayou, F., Hernández, M.I., Campos-Martínez, J., Hernández-Lamoneda, R., (2010), Journal of Chemical Physics, 132 (4) , art. no. 044313. Quantum-mechanical study of the collision dynamics of O2( 3Σg–) + O2( 3Σ g–) on a new ab initio potential energy surface, Pérez-Ríos, J., Bartolomei, M., Campos-Martínez, J., Hernández, M.I., Hernández-Lamoneda, R., (2009), Journal of Physical Chemistry A, 113 (52) , pp. 14952-14960. A bond-bond description of the intermolecular interaction energy: The case of the weakly bound acetylene-hydrogen complex, Thibault, F., Cappelletti, D., Pirani, F., Bartolomei, M., (2009), Journal of Physical Chemistry A, 113 (52) , pp. 14867-14874. Small water clusters: The cases of rare gas-water, alkali ion-water and water dimer, Albertí, M., Aguilar, A., Bartolomei, M., Cappelletti, D., Laganà, A., Lucas, J.M., Pirani, F., (2008), Lecture Notes in Computer Science (including subseries Lecture Notes in Artificial Intelligence and Lecture Notes in Bioinformatics) 5072 LNCS (PART 1) , pp. 1026-1035. The intermolecular potential in NO-N2 and (NO-N2)+ systems: Implications for the neutralization of ionic molecular aggregates, Bartolomei, M., Cappelletti, D., De Petris, G., Teixidor, M.M., Pirani, F., Rosi, M., Vecchiocattivi, F., (2008), Physical Chemistry Chemical Physics, 10 (39) , pp. 5993-6001. “Interactions and collision dynamics in O2+O2“, J. Campos-Martínez, M. Bartolomei, E. Carmona-Novillo, Marta I. Hernández, R. Hernández-Lamoneda, F. Dayou, en “Progress in Theoretical Chemistry and Physics”, Vol. 18, pags. 387-401 (2008). “Frontiers in Quantum Systems in Chemistry and Physics”, Wilson S. Grout P. J., Maruanni J., Delgado-Barrio G., Piecuch P. Eds.) Springer, Netherlands, ISBN: 978-1-4020-8706-6. A bond-bond description of the intermolecular interaction energy: The case of weakly bound N2-H2 and N2-N2 complexes, Cappelletti, D., Pirani, F., Bussery-Honvault, B., Gomez, L., Bartolomei, M., (2008), Physical Chemistry Chemical Physics, 10 (29) , pp. 4281-4293. Accurate ab initio intermolecular potential energy surface for the quintet state of the O2( 3Σg–) + O2( 3Σ g–) dimer, Bartolomei, M., Carmona-Novillo, E., Hernández, M.I., Campos-Martínez, J., Hernandez-Lamoneda, R., (2008), Journal of Chemical Physics, 128 (21) , art. no. 214304. The intermolecular potentials of the O2-O2 dimer: A detailed ab initio study of the energy splittings for the three lowest multiplet states, Bartolomei, M., Hernández, M.I., Campos-Martínez, J., Carmona-Novillo, E., Hernández-Lamoneda, R., (2008), Physical Chemistry Chemical Physics, 10 (35) , pp. 5374-5380. Spin-orbit coupling in O2(v) + O2 collisions. II. Quantum scattering calculations on dimer states involving the X 3Σg–, a 1Δg, and b 1Σg+ states of O2, Dayou, F., Hernández, M.I., Campos-Martínez, J., Hernández-Lamoneda, R., (2007), Journal of Chemical Physics, 126 (19) , art. no. 194309. Intermolecular interaction potentials for the Ar-C2H2, Kr-C2H2, and Xe-C2H2 weakly bound complexes: Information from molecular beam scattering, pressure broadening coefficients, and rovibrational spectroscopy, Cappelletti, D., Bartolomei, M., Carmona-Novillo, E., Pirani, F., Blanquet, G., Thibault, F., (2007), Journal of Chemical Physics, 126 (6) , art. no. 064311. “Electronic energy transfer in O2(v) + O2 collisions”, F. Dayou, M. I. Hernández, J. Campos-Martínez, R. Hernández-Lamoneda, en “Beyond standard quantum chemistry: Applications from gas to condensed phases”, R. Hernández-Lamoneda (editor), (Transworld Research Network, Kerala, India, ISBN 978-81-7895-293-2, pags. 47-64, (2007). “The intermolecular potential energy surface of the O2 + O2 dimer”, R. Hernández-Lamoneda, M. Bartolomei, E. Carmona-Novillo,M. I. Hernández, J. Campos-Martínez, F. Dayou, en “Beyond standard quantum chemistry: Applications from gas to condensed phases”, R. Hernández-Lamoneda (editor), (Transworld Research Network, Kerala, India, ISBN 978-81-7895-293-2), pags. 19-45 (2007). “Molecular physics in clusters and at the gas/surface interfase”, M. P. de Lara-Castells, P. Villarreal, M. I. Hernández, A. O. Mitruschenkov, en “Molecular physics in clusters and at the gas/surface interfase”, en “Science and Supercomputing in Europe”; P. Alberigo, G. Erbacci, and F. Garofalo. ISBN 978-88-86037-21-1, pg. 915, (2007). Key role of spin-orbit effects in the relaxation of CO2(010) by thermal collisions with O(3Pj), De Lara-Castells, M.P., Hernández, M.I., Delgado-Barrio, G., Villarreal, P., López-Puertas, M., (2007), Molecular Physics, 105 (9) , pp. 1171-1181.